Ask a bunch of gearhead guys and gals whether they like cars, and I bet you can guess the answer. Now ask them about planes. Surprisingly, you'll get the same answer. On the weekend of April 13, 2013 Southeast Florida SAAC was out in full force at Fantasy of Flight, a sprawling aeronautical museum right in their backyard. 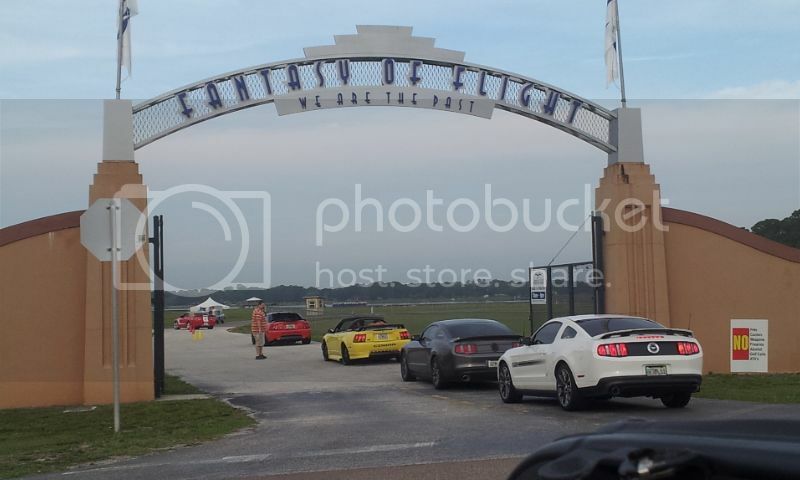 With several Ford clubs attending, it goes without saying that there were plenty of Mustangs. But that's only half the equation. 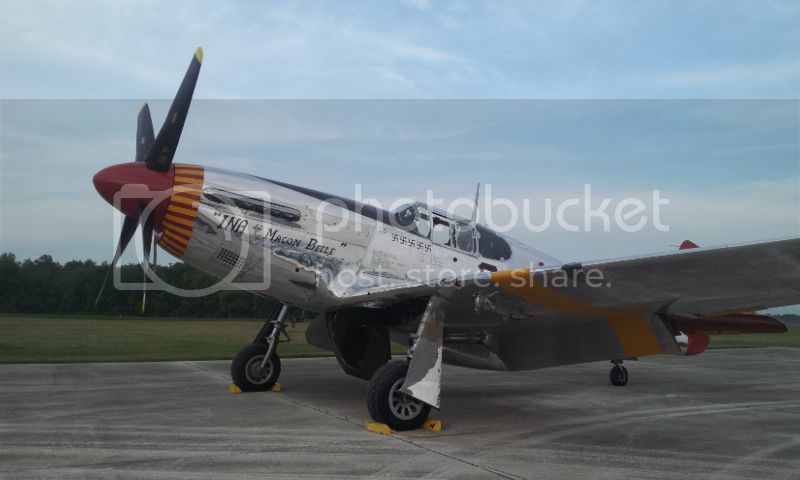 The other mustang was a World War II fighter plane, the P-51 Mustang. All event guests got their picture taken with their car astride the fighter plane. You could spend a day and then some perusing at vast assortment of aeronautical history. The museum housed everything from early twentieth century biplanes to such oddities as a helicopter/airplane hybrid. And, unlike some museums, these exhibits aren't meant just to be displayed. The curators actually fired some up and went airborne in mock dogfights. Some of us were lucky enough to get rides in these vintage planes. It was rumored that celebrities were in attendance. 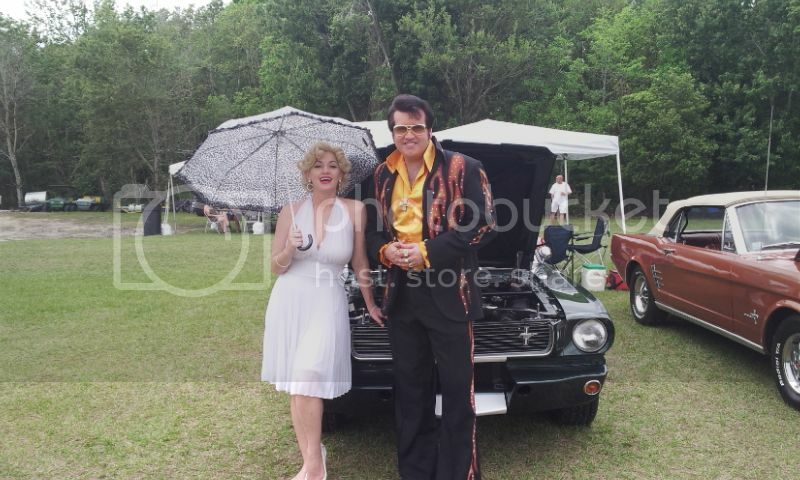 Our photographers caught Marylin Monroe and Elvis Presley among the crowds. Interestingly enough, we learned a puzzling bit of automobile history while at an airplane museum. Apparently, Mr. Shelby had dealings south of the border in Mexico. He organized Shelby of Mexico which produced (you guessed it) Shelbys and specially-optioned Mavericks, but that's another story. Check our forum for those details. We'd like to thank all our Mustang and Shelby friends who rode out to make this event so great. Special thanks go out to Fantasy of Flight for being such great hosts.